FOR THE N64. OFFICIAL NINTENDO 64 RF MODULATOR. COMPLETE WITH RF CABLE. This is an official Nintendo item tested in working order. We will always go out of our way to source the product you are looking for. Boxed RF switch and modulator. Does not contains cardboard tray. 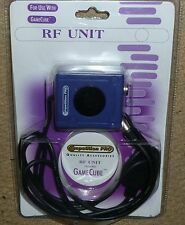 Official Nintendo AV In RF Out Adaptor For SNES N64 And GAMECUBE. Condition is Used. Feel free to ask any questions Thanks for looking Dispatched with Royal Mail 1st Class. • Official nintendo n64 rf modulator. Genuine official N64 modulator, this is for the modulator box as shown, no aerial lead is included. This item is in good condition, Compatible with Nintendo 64. This is a preowned item and therefore will be in a used condition, All of our goods have been properly tested and are in full working order with a 30-day money-back guarantee. Kindly review our feedback and get in touch with us if you have any questions regarding this item, thank-you. The RF lead has been tested by myself by plugging it into a N64 and tuning the channel in. To the best of my knowledge it is in full working order. RF moduleis in good working order. RF Modulator without cable as pictured. Nintendo 64 Official RF Modulator. Why Buy From Us?. Official N64 RF Modulator. Unique piece of Nintendo hardware. 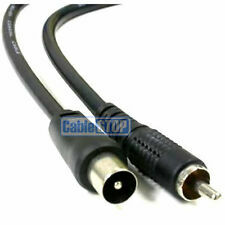 MULTI CONSOLE RF TV AERIAL ADAPTER CABLE. Genuine Nintendo UnTested sold as seen in photo. See details - high resolution pictures, great on big display or monitor. Model: RF Modulator. 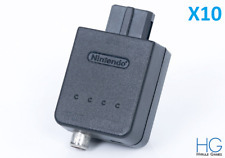 NINTENDO RF ADAPTOR BLOCK. Official nintendo n64 rf modulator - NUS003 Used but good condition. 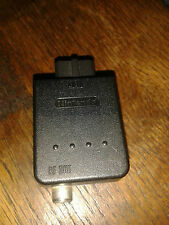 RF MODULATOR FOR NINTENDO 64. We will respond as quickly as possible. 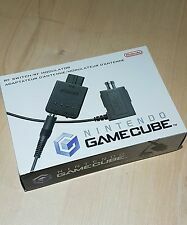 FOR NINTENDO 64 RF CABLE. We will respond as quickly as possible. Original RF switch modulator. 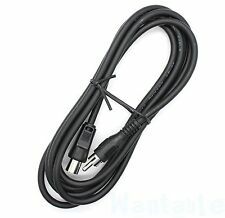 Converts a normal antenna cable into the Multi-Out port. for Nintendo 64. Plattform Nintendo 64. ■ Original Nintendo accessories. RF modulator. Accessories for Nintendo 64. Adapter in good condition with only minor wear. Jetzt kaufen. Platform Nintendo 64. Type A/V Cables/Adapters & AC Power cord.